As an intellectual exercise, I'm trying to figure out how to write a reasonably good RNG in TI-BASIC. Starting with a seed, maybe A=0.1. I don't see any pattern or relationship between successive numbers when graphing results, but the period should be no more than a few thousand. * Is this method of pseudorandom number generation obviously flawed in another way? * How can I test the quality of pseudorandom numbers generated (on-calc or otherwise)? Should I just implement some of the tests I've seen online? Where L1 is seeded to a list of, say, 10 different numbers. Does this improve the quality? My reasoning is that the different seeds probably have different periods, and therefore the overall period, which is the lcm of all of them, will be at least in the millions. Your distribution is definitely skewed. 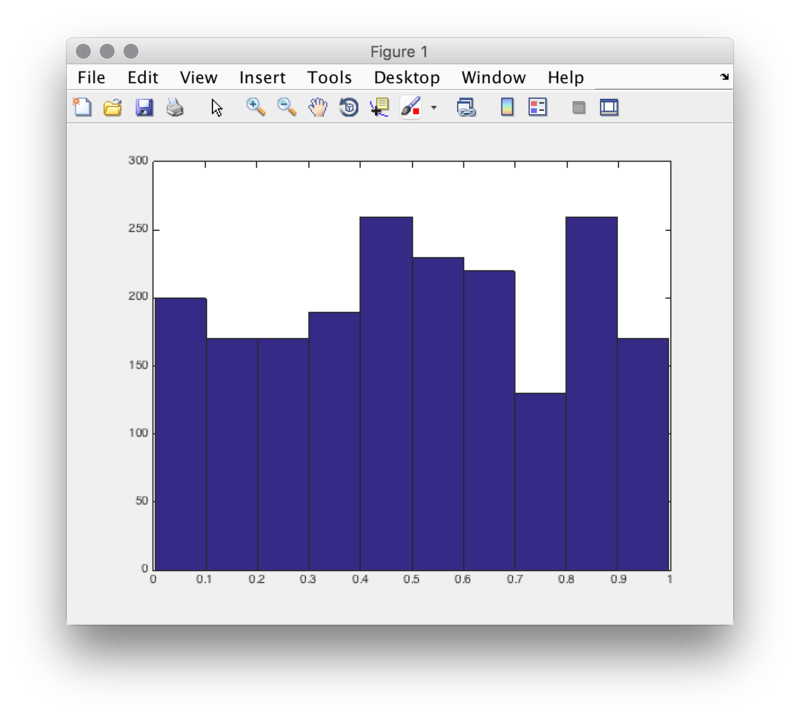 Here are histograms of the first 200, and 2000 samples, seed with 0.1. Both show the same trend. I'm getting a somewhat flat distribution. I'm not sure if it's within the range of randomness or not. 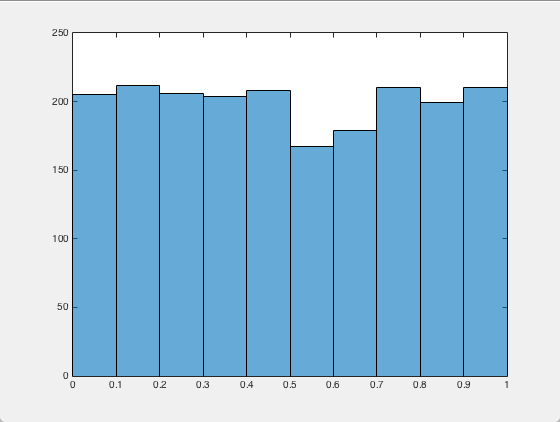 When I change the dimension to 10000, the distribution flattens out more. Shouldn't you compare it to a proven psudorandom number generator? To see if it's within the range of randomness? Maybe you could repeat it a random number of times? Shouldn't you compare it to a proven pseudorandom number generator? To see if it's within the range of randomness? No, you should do a chi-squared test! See the Stats>Test menu on your TI calculator. Using TI calculators since 1974. A chi-squared test seems inappropriate for this situation. © Copyright 2000-2019 Cemetech & Christopher Mitchell :: Page Execution Time: 0.136814 seconds.